Here's a photo from the end of the segment where we were enjoying the Whipped Cream Cake we made from Rose's Heavenly Cakes. 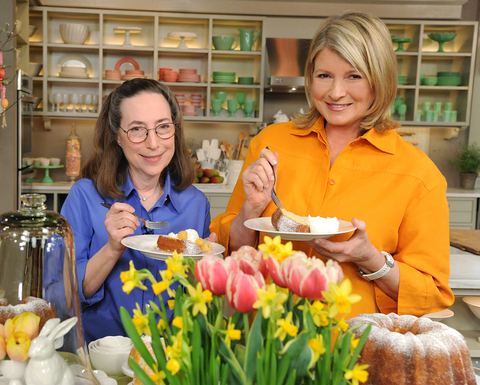 What a joyful experience it was being on Martha's show. I could not have asked for a warmer, more gracious host! But most of all, we share a great kinship and love of baking, crafts, and design. I'd return in a New York minute! Photographer: David Russell.